The previous year has witnessed many far-reaching developments. Some of the most significant events include the Iran Nuclear Deal, the Paris Climate Change Agreement and, of grave concern, the North Korean nuclear crisis. I must also commend the UN’s role in helping to settle thousands of innocent civilians caught in the conflicts in Syria, Iraq and Afghanistan. In particular, we must collectively thank the Government of the Federal Republic of Germany under the commendable leadership of Chancellor Angela Merkel and the Governments of Italy, Greece and Turkey for assisting hundreds of thousands of refugees. We thank the Security Council for visiting the countries of the Lake Chad Basin to assess the security situation and humanitarian needs, and for pledging assistance to rebuild lives and livelihoods. Indeed, in Nigeria we are providing relief and humanitarian assistance to millions in camps and those afflicted by terrorism, drought, floods and other natural disasters. These cooperative efforts should be sustained. We must collectively devise strategies and mobilise the required responses to stop fleeing ISIS fighters from mutating and infiltrating into the Sahel and the Lake Chad Basin, where there are insufficient resources and response capacity is weak. New conflicts should not make us lose focus on ongoing unresolved old conflicts. For example, several UN Security Council Resolutions from 1967 on the Middle East crisis remain unimplemented. Meanwhile, the suffering of the Palestinian people and the blockade of Gaza continue. Nigeria proposes a strong UN delegation to urgently engage the North Korean Leader. The delegation, led by the Security Council, should include members from all the regions. I end my remarks by reiterating Nigeria’s abiding commitment to the foundational principles and goals of the United Nations. Since our admission as a member state in 1960, we have always participated in all efforts to bring about global peace, security and development. 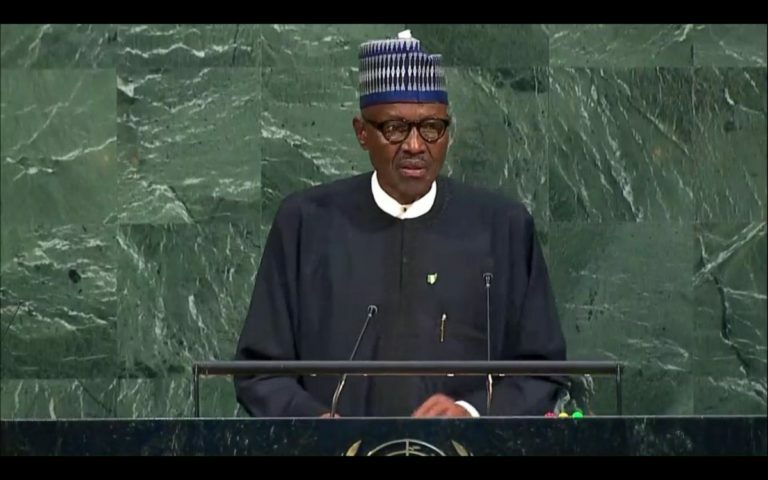 Nigeria will continue to support the UN in all its efforts, including the attainment of the 2030 Agenda for Sustainable Development.